Sierra Lynn Lawson is an Anthropology and Religious Studies double major and a Spanish minor. She is from a small town in Wyoming and hopes to study the illegality of midwifery in Alabama as it relates to post-civil war identity formation. I was most pleased with my experience at the Southeastern Commission for the Study of Religion (SECSOR) because it provided me with the opportunity to see what is, and what is not, happening in the academic study of religion. As someone completing a B.A. this Spring and entering an M.A. program in the Fall, I believe the connections I made at SECSOR could be foundational to the work I hope to do in the near future. Outside of attending panels such as ‘Religion and Ecology’, ‘Ethics, Wellbeing and Sexuality’, and another looking at narratives of Utopia and Dystopia, I made a point to be present at less-formal meetings, such as meals for marginalized groups. My method for choosing specific panels, and events, was to seek out individuals exploring critical issues of authorship, identity formation and representation in their work. The majority of the conference was based around research reflecting Christian theological endeavors. As SECSOR is co-hosted by the Society of Biblical Literature, this was not particularly surprising. While Christian theology is on the opposite end of where I would place my academic interests on of the spectrum of religious scholarship, I found its presence critical to understanding of the current state of the field. One of my peers, Parker Evans, was presenting his own undergraduate research regarding the influence of nationalism on Heidegger’s thought. Upon mentioning that he was from the University of Alabama before his presentation, the chair for the undergraduate panel replied that Parker was “…probably from the most South out of all of us”. While this was an erroneous comment in terms of literal geography, because many Floridian and Georgian schools were also attending the conference, in my mind it summoned all sorts of interesting discussions about where we draw boundaries for the ‘South’. Similarly – it seemed academic approaches to religion also negotiate specific margins constituting different means to more or less critical ends. The name-dropping of Russell McCutcheon seemed to serve as a barometer measuring self-alliance with the study of religion as its own category. Academics from Emory to Florida State proudly displayed their loyalty to McCutcheon’s work and specific paradigms, and I chuckled at the serious tone they adopted when speaking of the man whose office I find myself in more often than my own living room. I knew McCutcheon was somewhat of a polarizing figure in the field, but I had never seen a group of people adhere so stringently to another individual as a euphemism for the paradigms they themselves operate from. On the opposite end of the spectrum were academics who seemed to consider themselves, or their work, to lie outside of phenomena which is ‘fair game’ for data. From personal conversations I was aware of Dr. McCutcheon’s critique of Mircea Eliade, and was utterly dumbfounded by academics who counterintuitively avoided investigating the obvious connection between their critical inquiries and their own predispositions or desires. I consider the humanities to be integral to understanding the implicit and explicit intentions, which inform interactions between members of society as well as the phenomena they invest meaning into. Unfortunately, it has become increasingly difficult to find other individuals aligning with this mentality as students flock to majors providing a straightforward map for entering the work force. 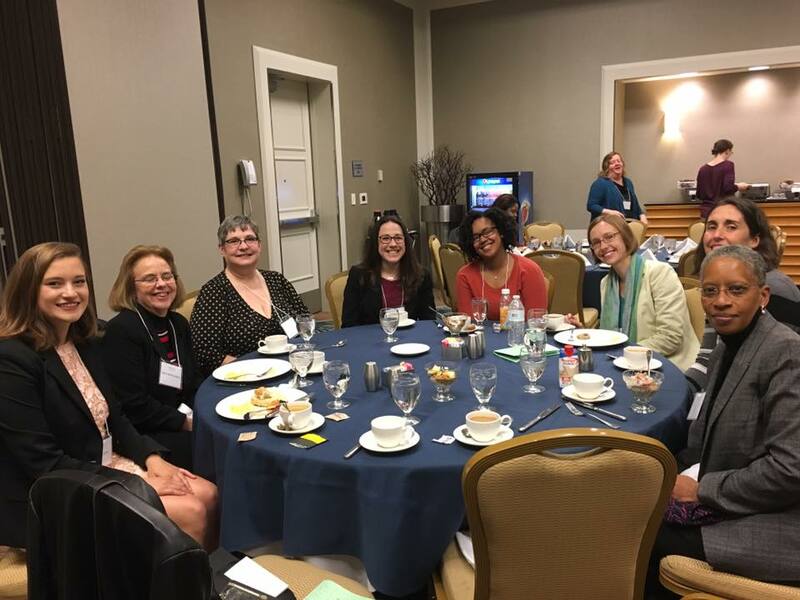 The funding I received from both the University of Alabama, as well as the Amy Lynn Petersen Endowed Support fund within the Department of Religious Studies, provided me with the opportunity to travel to Raleigh, NC for the regional conference for the American Academy of Religion. At the SECSOR I engaged with fellow aspiring academics, as well as individuals who are well established in academia and known for their scholarship. I am forever indebted to the generous contributions, for without the connections I made at the conference I fear I may have never expanded my horizons to appreciate the field of Religious Studies, as it exists in its contemporary form, as well as the role I might play in it. This entry was posted in Relevance of Humanities, Religion in Culture, Student Blog and tagged #RELResearch, AAR, SESCOR, Sierra Lawson by admin. Bookmark the permalink.